Paisley print background with the dog admiral painted portrait on the front? Oh wow. 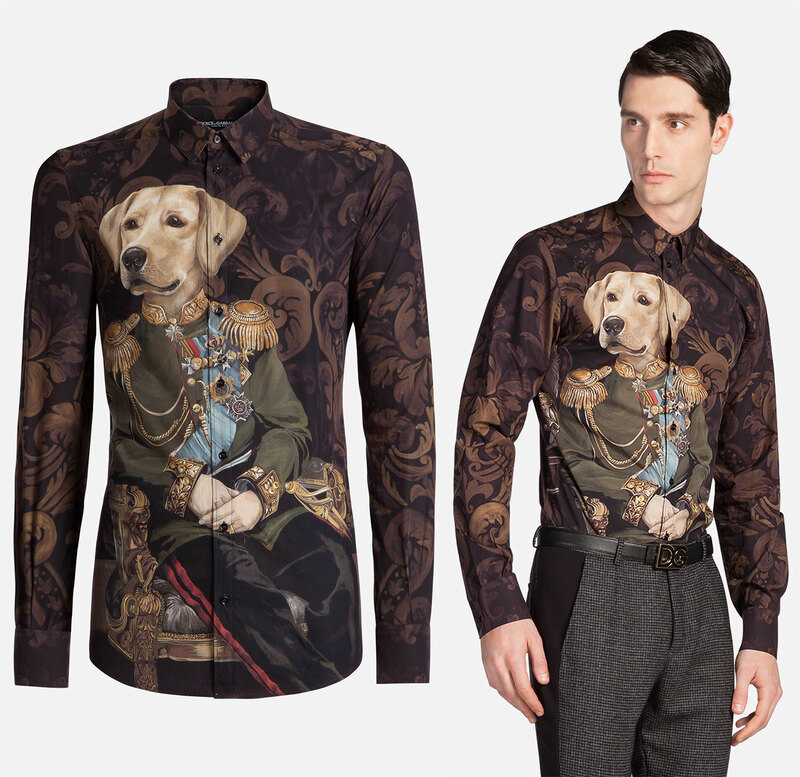 I was thinking about this this shirt all day, and almost thanked a yellow lab for his service when I was out for a walk earlier. He was a working dog with a 1000 yard stare, so thankfully it wouldn’t have come across as too weird. I feel like the tucked in look the guy is rocking is very on brand, but too uptight for this particular shirt. Call it disrespectful to the design if you want, but I think I’d try wearing it unbuttoned with a clean white crewneck t-shirt underneath. Maybe a gold cuban link chain around my neck, with some plain black tapered denim on the bottom and some clean black chelsea boots. $675 over at Dolce & Gabanna. As they say “you gotta pay to play”… thankfully there’s also a $475 long sleeve t-shirt, so you can still flex even if you’re poor. That last part was a joke. I feel like I’ve been out of this blogging thing for a while I probably need to ease you guys back into my writing style (if anyone still follows this). 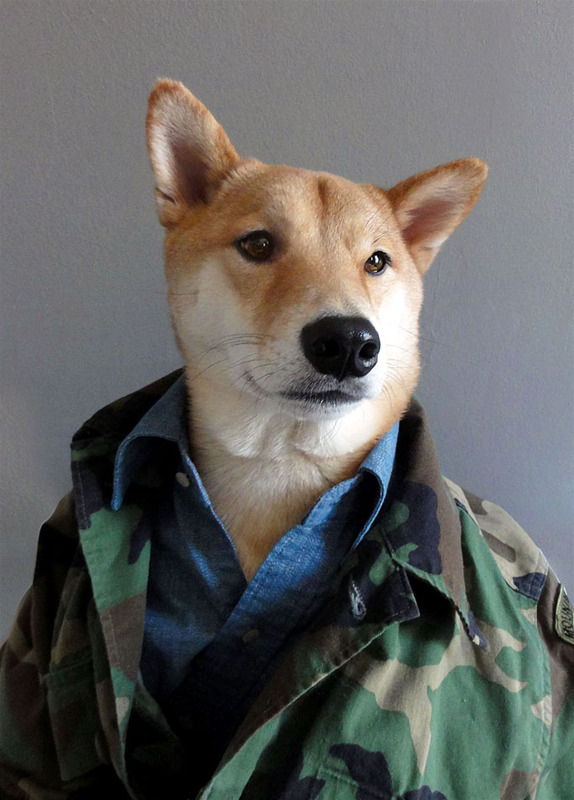 I’ve been following Menswear Dog now for a while, and was disappointed that up until now he didn’t wear anything military related. He blessed us with that above pic on Valentines day! 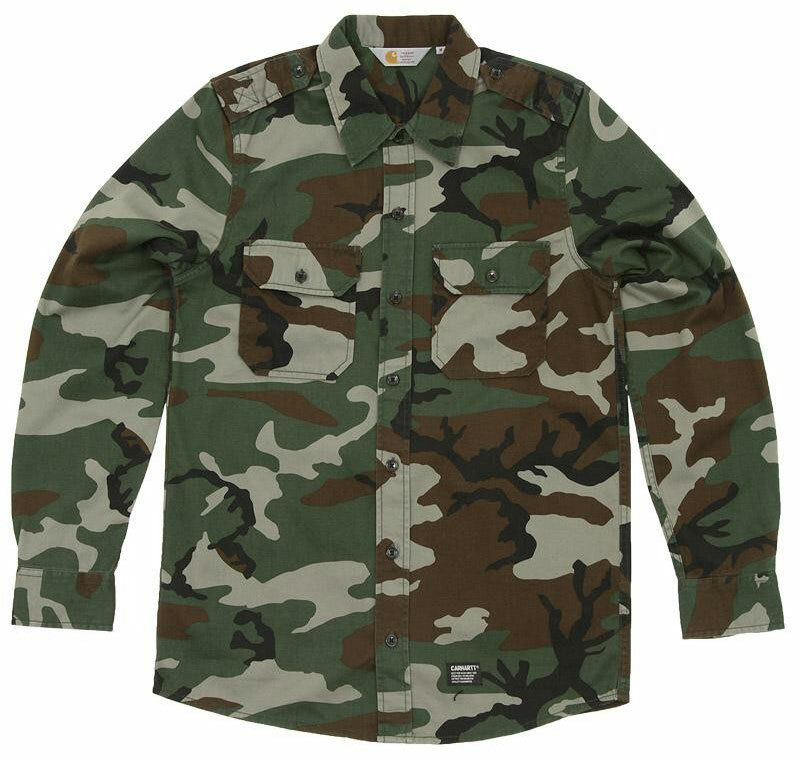 The shirt is by Carhartt, and goes for £65 ($100 USD) over at End Clothing.